Today marks the 66th anniversary of Queen Elizabeth’s ascension as Queen of Canada, the United Kingdom, and 14 other nations. She is also the head of the Commonwealth of Nations. Queen Elizabeth ascended the throne of Canada when her father, King George VI passed away in the early hours of February 6th, 1952. Prior to this date, she was the Heir Presumptive to the crown. 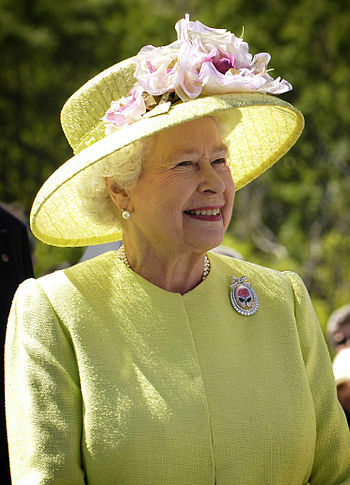 While Her Majesty predominantly lives in the United Kingdom, she has come home to Canada on many occasions, and has personally undertaken many duties in her official capacity as Queen of Canada, both in Canada, and abroad. When not in Canada, Her Majesty is represented at the Federal level by the Governor General, in each province by a Lieutenant Governor. Under the constitutional monarchy that Canada operates under, the running of the country is held federally by the Prime Minister, and provincially by the Premier of the province. While Her Majesty rules over the country, it is the Government that runs the country. As the reigning Monarch, Queen Elizabeth has undertaken several tours around Canada, and taken part in many functions as our Queen. These functions include opening the 23rd Parliament in 1957, the opening of the St. Lawrence seaway in 1959, the 1967 Expo in Montreal, the 100th Anniversary of Manitoba’s entry into the Confederation in 1970, the centennial of the RCMP and PEI’s 100th Anniversary in 1973, the Commonwealth’s Head of Government meetings in 1973, the summer Olympic Games in 1976, the Royal Proclamation of the Constitution in 1982, the Bi-centenary of Ontario in 1984, Canada’s 125th Anniversary celebrations in 1992, celebrating events surrounding her Silver and Golden Jubilees in 1977 and 2002, and the 100th Anniversaries of the entries of Alberta and Saskatchewan into the Confederation in 2005. While her position is mainly symbolic, Her Majesty also acts as a neutral and non-political Head of State who does not have any political ambitions. As such, she defends the Constitution and ensures a solid foundation for our form of Government. She also ensures that the Government is held responsible. We do not pledge allegiance to a flag or a piece of paper but to the person who defends our way of life. So let’s celebrate 65 years of the reign of our sovereign Queen Elizabeth II. God Save the Queen and long may she reign over us!!!! This entry was posted in General and tagged Ascension, Commonwealth, Commonwealth realm, Dominion of Canada, Queen Elizabeth II, Queen of Canada, reign. Bookmark the permalink.